Live rugby in comfort under the roof at Forsythe Barr Stadium, a catch up with friends at half time, an exciting game and a win for the Highlanders for all of which I’m grateful. Pul – monetary unit of Afghanistan, equal to one hundredth of an afghani. This map shows how far stock with, or from farms with, Mycoplasma bovis, have spread. The Country For those interested in M. bovis – here’s the map showing properties under legal controls and surveillance. Valid as of yesterday (10 May). We, this people, on this small and drifting planet. Whose hands can strike with such abandon That in a twinkling, life is sapped from the living Yet those same hands can touch with such healing, irresistible tenderness That the haughty neck is happy to bow And the proud back is glad to bend Out of such chaos, of such contradiction We learn that we are neither devils nor divines . . . Maya Angelou. 1191 Richard I of England married Berengaria of Navarre who was crowned Queen consort of England the same day. 1264 The Battle of Lewes, between King Henry III and the rebel Simon de Montfort, 6th Earl of Leicester, began. 1328 Antipope Nicholas V, a claimant to the papacy, was consecrated in Rome by the Bishop of Venice. 1364 Jagiellonian University, was founded in Kraków. 1551 National University of San Marcos, was founded in Lima. 1588 French Wars of Religion: Henry III fled Paris after Henry of Guise enters the city. 1689 King William’s War: William III joined the League of Augsburg starting a war with France. 1743 Maria Theresa of Austria was crowned King of Bohemia after defeating her rival, Charles VII, Holy Roman Emperor. 1797 First Coalition: Napoleon I of France conquered Venice. 1812 Edward Lear, British author and poet was born (d. 1888). 1820 Florence Nightingale, British nurse was born (d. 1910). 1821 The first big battle of the Greek War of Independence against the Turks occured in Valtetsi. 1828 Dante Gabriel Rossetti, British painter,was born (d. 1882). 1863 American Civil War: Battle of Raymond: two divisions of James B. McPherson‘s XVII Corps (ACW) turned the left wing of Confederate GeneralJohn C. Pemberton‘s defensive line on Fourteen Mile Creek, opening up the interior of Mississippi to the Union Army during the Vicksburg Campaign. 1864 American Civil War: the Battle of Spotsylvania Court House: thousands of Union and Confederate soldiers died in “the Bloody Angle”. 1865 American Civil War: the Battle of Palmito Ranch: the first day of the last major land action to take place during the Civil War, resulting in a Confederate victory. 1870 The Manitoba Act was given the Royal Assent, paving the way for Manitoba to become a province of Canada on July 15. 1873 Oscar II was crowned King of Sweden. 1881 Tunisia became a French protectorate. 1885 North-West Rebellion: the four-day Battle of Batoche, pitting rebel Métis against the Canadian government, ended with a decisive rebel defeat. 1890 The first-ever official County Championship match begins. Yorkshire beat Gloucestershire by eight wickets at Bristol. George Ulyett scored the first century in the competition. 1907 Katharine Hepburn, American actress, was born (d. 2003). 1910 Dorothy Crowfoot Hodgkin, British biochemist, Nobel laureate, was born (d. 1994). 1924 Tony Hancock, British comedian, was born (d. 1968). 1926 UK General Strike 1926: In the United Kingdom, a nine-day general strike by ended. 1932 Ten weeks after his abduction, the infant son of Charles Lindberghwas found dead in Hopewell, New Jersey, just a few miles from the Lindberghs’ home. 1937 Susan Hampshire, British actress, was born. 1937 – George VI and Elizabeth Bowes-Lyon were crowned King and Queen. 1941 – Konrad Zuse presented the Z3, the world’s first working programmable, fully automatic computer, in Berlin. 1942 – World War II: Second Battle of Kharkov – in the eastern Ukraine, Red Army forces under Marshal Semyon Timoshenko launched a major offensive from the Izium bridgehead. 1942 – The Holocaust: 1,500 Jews were sent to gas chambers in Auschwitz. 1945 Ian McLagan, British keyboardist (Small Faces), was born. 1945 Argentinian labour leader José Peter declared the Federación Obrera de la Industria de la Carne dissolved. 1949 – The Soviet Union lifted its blockade of Berlin. 1949 – The western occupying powers approved the Basic Law for the new German state – the Federal Republic of Germany. 1952 Gaj Singh was crowned Maharaja of Jodhpur. 1958 Aformal North American Aerospace Defense Command agreement was signed between the United States and Canada. 1962 Douglas MacArthur delivered his famous “Duty, Honor, Country” valedictory speech at the United States Military Academy. 1967 Pink Floyd staged the first-ever quadraphonic rock concert. 1971 A civic reception for 161 Battery on its return from Vietnam was disrupted by protesters. 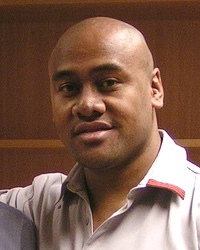 1975 Jonah Lomu, New Zealand rugby union footballer, was born. 1975 Mayagüez incident: the Cambodian navy seized the American merchant ship SS Mayaguez in international waters. 1978 In Zaïre, rebels occupy the city of Kolwezi, the mining center of the province of Shaba. 1981 Francis Hughes starved to death in the Maze Prison in a republican campaign for political status to be granted to Provisional IRA prisoners. 1982 – During a procession outside the shrine of the Virgin Mary in Fátima, Portugal, security guards overpower edJuan Fernandez Krohnbefore he attacked Pope John Paul IIwith a bayonet. 1999 David Steel became the first Presiding Officer (speaker) of the modern Scottish Parliament. 2002 Former US President Jimmy Carter arrived in Cuba for a five-day visit with Fidel Castro becoming first President of the United States, in or out of office, to visit the island since Castro’s 1959 revolution. 2003 The Riyadh compound bombings, carried out by Al Qaeda, kill 26. 2003 – Fifty-nine Democratic lawmakers bring the Texas Legislature to a standstill by going into hiding in a dispute over a Republican congressionalredistricting plan. 2006 Mass unrest by the Primeiro Comando da Capital began in São Paulo, leaving at least 150 dead. 2007 Karachi riots , which killed over 50 people in Karachi and above 100 injured, on the arrival of Chief Justice of Pakistan; Iftikhar Muhammad Chaudhry in Karachi city. 2008 Wenchuan earthquake (measuring around 8.0 magnitude) in Sichuan, China, killed more than 69,000 people. 2008 – U.S. Immigration and Customs Enforcement conducted the largest-ever raid of workplace and arrests nearly 400 immigrants for identity theft and document fraud. 2010 – An Afriqiyah Airways Flight crashed, killing all but one person on board. 2015 – A train derailment in Philadelphia killed 8 people and injured more than 200. 2015 – A 7.3-magnitude earthquake and six major aftershocks hit Nepal, killing more than 200 people. 2017 – A ransomware attack attacked over 400 thousand computers worldwide, targeting computers of the United Kingdom’s National Health Services and Telefónica computers. You are currently browsing the Homepaddock blog archives for the day Saturday, May 12th, 2018.